It might just be the large Asain characters splayed across its barrel, but I really enjoy using the SKB Roller Tip rollerball pen. After all, it’s difficult to point to anything that makes it stand out. It’s not a particularly durable or fancy pen – the body is mostly plastic with a cheap-ish cap – but I can say that the Roller Tip is definitely a solid performer. The SKB Roller Tip lays down consistent lines, has a rich black ink, and is moderately comfortable to hold. The ink does smears some, though not excessively for a rollerball pen. 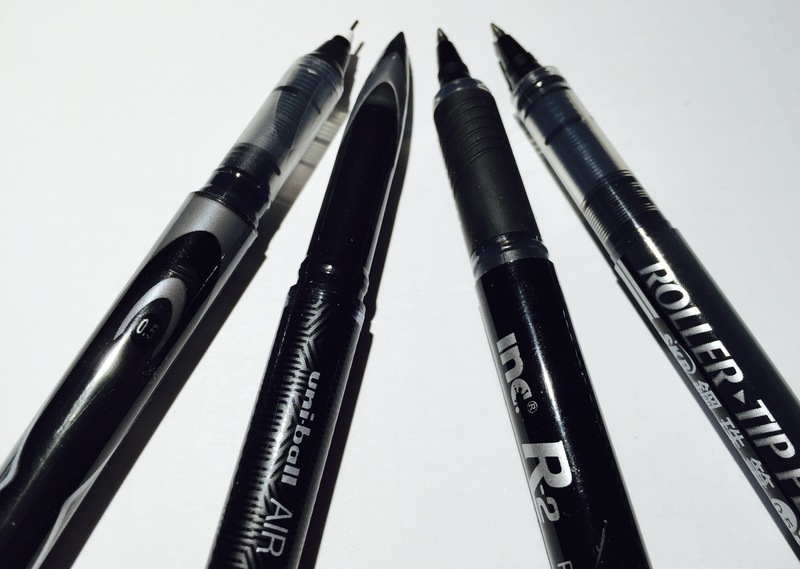 Overall, it might be the best disposable rollerball pen I’ve reviewed so far. 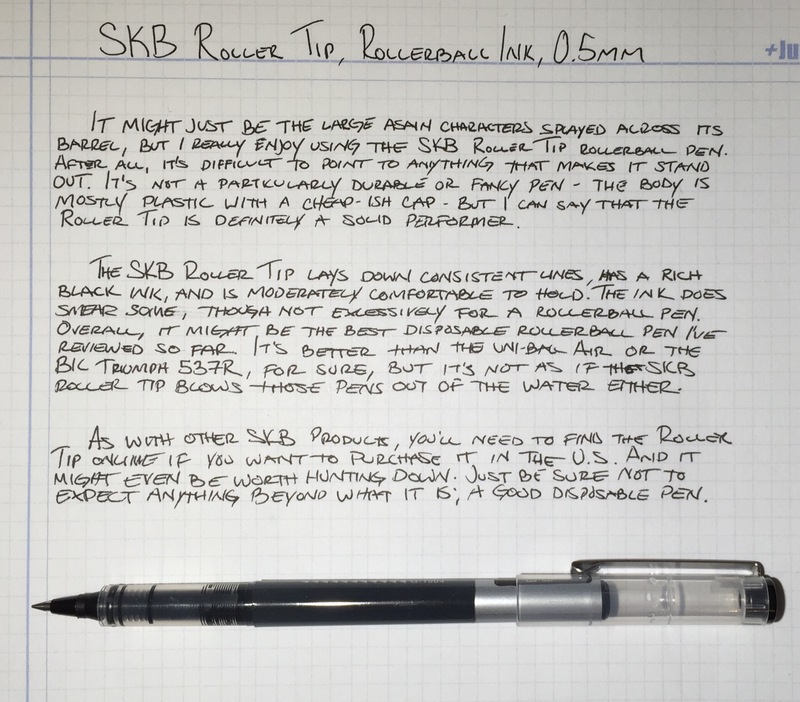 It’s better than the uni-ball Air or the BIC Triumph 537R for sure, but it’s not as if the SKB Roller Tip blows those pens out of the water. As with SKBs other products (e.g. the Soft Ink SB-1000, the Click Ball, and the V6), you’ll need to find the Roller Tip online if you want to purchase it in the U.S. And it might be even be worth hunting down. Just be sure not to expect anything beyond what it is; a good disposable pen.